Mad Moose can race again after a ban on him competing was lifted. 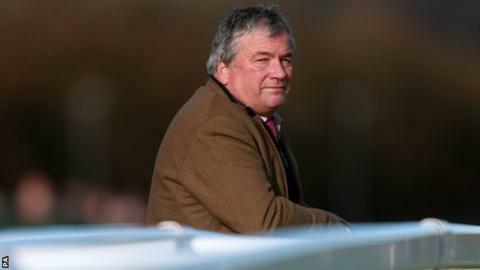 Mad Moose, trained in Gloucestershire by Nigel Twiston-Davies, was banned from racing in January after refusing to start on three occasions last year. The British Horseracing Authority says it will consider the 10-year-old's future again if there are any starting issues in the next six months. The racehorse was once considered one of the most promising horses at the Gloucestershire stable of Twiston-Davies, who has won the Grand National twice - with Earth Summit (1998) and Bindaree (2002). However, after refusing to race or been tailed off in four of his last eight races, Mad Moose was banned.